VFP-62 commanding officer Cdr. 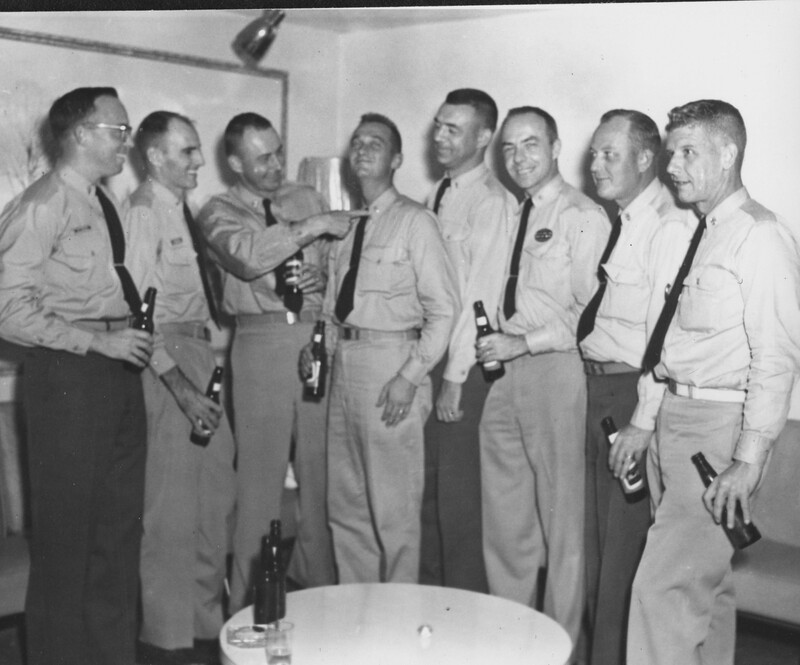 William B. Ecker and squadron officers celebrate their new chief petty officer. (12/2/15) Obituary: Arthur W. Scarborough was born in Savannah, Georgia August 4th, 1929 to the late Ernest H. Scarborough and Paula A. (Christolofi) Scarborough. Like a lot of kids growing up during the depression, he worked doing odd jobs like a pharmacy delivery boy and theater usher to help supplement the family income. He was an Eagle Scout and began his life long passion of flight by joining the fledging Civil Air Patrol during WWII. At age 16 he won his Private Pilots license and spent a lot of time hanging around the old airports and flying the old rickety machines. As a boy, Art developed an interest in photography and using an old Brownie camera honed his skills with the shutter. In 1947 at age 18, he left home and began his life long affiliation with the U.S. Navy arriving at the San Diego Naval Recruit Depot for basic training. After completion of boot camp, Art was then posted to N.A.S. Alameda California. While at Alameda, he performed various duties like mess cooking and was assigned for a time to a seaplane squadron to work on the seaplane ramp to put beaching gear on the large flying boats. Being too small and slim, he had difficulty hefting the large and heavy struts onto the aircraft. He decided he needed to change the course of his budding naval career, and became a ?Photo Striker?, working at night in the base photo lab when his day duties were complete. In 1949, he was deemed qualified to attend the Navy Photo School at Pensacola Florida, completing that program in late 1949 and then a transfer to N.A.S. Moffett Field, California. Arriving at Utility Squadron 7, Art covered all the activities of the base, and became friends with the pilots of the various squadrons as these young heroes of the air were always looking for glamour shots to send to the folks back home. Being a photographer has its perks. While at Moffett, Art received a commendation for helping a trapped pilot that had flipped his Bearcat fighter over on its back. Being the first to the scene, he dug a trench in the soft soil to the pilot?s face so he could breath while the crash crew was on the way. 1951 found Art detached from Moffett Field and headed for the cold regions of the Pribilof Islands, north of the Aleutian chain for a resupply expedition aboard the USS Union (AKA-106). He became a staff photographer for the Admiral and senior staff personal. In September 1951, Art meet his future wife, Phyllis, at a little airport cafe in Spring Valley California as he continued his flying when not on duty. But the courting was not to last too long as he was transferred to Guam for an 18-month stint with Utility Squadron 5 in October 1951. While on Guam, Art flew numerous reconnaissance and aerial mapping missions across the Southwest Pacific, spending time visiting the exotic locations of that ocean. In 1952, Art was detached from Guam and was sent to Atsugi Japan to continue the combat photo reconnaissance duties over the hostile Korean Peninsula hot spots like the Yalu River and the 38 Parallel as the Korean War was well on its way. Having graduated from the Navy Combat Camera program, Art spent a lot of time photographing the war from the ground as well usually under the protective and watchful eyes of various Marine units he went out with. He was always very fond of the Marines because of that. 1953, Art returned to Guam then back to San Diego in May. After carrying on a letter writing romance while he was away, Art and Phyllis were married in September 1953. The couple moved to Coronado, across the bay from San Diego. Art was attached to the Naval Amphibious Assault Base at Coronado and spent time at sea on board the Command ships USS Mt. McKinley, USS Mt. Olympus and USS Eldorado as staff photographer to the various admirals in charge of operations. In 1955 Art took his second trip to the Arctic aboard the Mt. McKinley to photographically cover the D.E.W. Line expedition. The Distant Early Warning Line was established to set up a net of Cold War radar stations along the top of the world to detect Russian aircraft trying to cross the North Pole to attack North America. Art was awarded a commendation for his stills and movies of that expedition. In 1956, the couple was stationed on Oahu Hawaii and took up residence in the little town of Waianae. Art continued his photo work out of N.A.S. Barbers Point photographing military and social events as well as aerial mapping work. 1958 arrived with a new addition to the family as their first son, Scott, was born. In 1959, the family left Hawaii for the submarine base at Key West, Florida. Art was involved with filming the new generation of torpedoes the Navy was qualifying for use in their submarines. Because of the slow motion filming work, issues and defects were detected which allowed the manufactures to fix the problems. Art earned another commendation and promotion to acting Chief Petty Officer for his efforts. He also spent time on board the ill-fated submarine USS Thresher (SSN-593) filming the torpedo loading operations while she was at Key West. Thresher was later lost in a tragic accident off New England with all hands in April 1963. 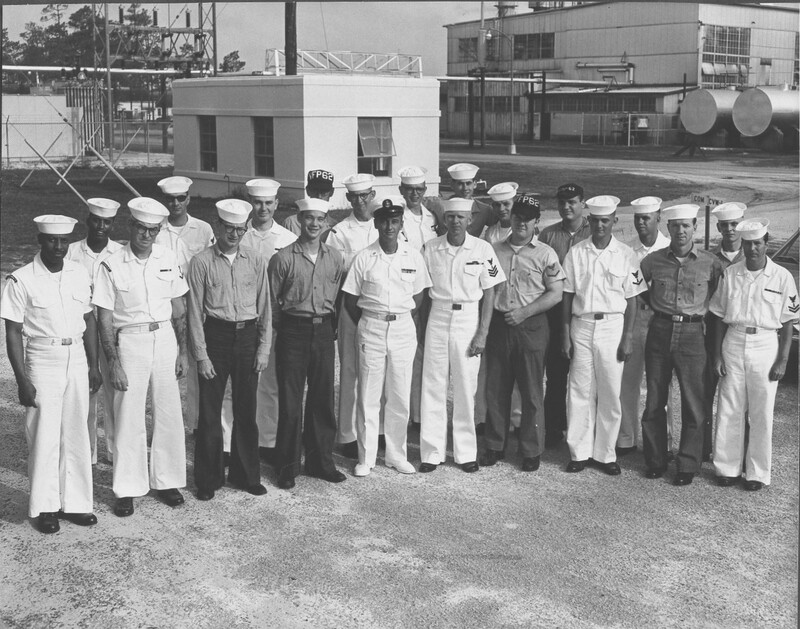 In 1962, Art was assigned to the Light Photo-Reconnaissance squadron VFP-62 at Cecil Field, just outside of Jacksonville Florida. He got there just in time to become promoted to full Chief Petty Officer and the beginning of the Cuban Missile Crises. 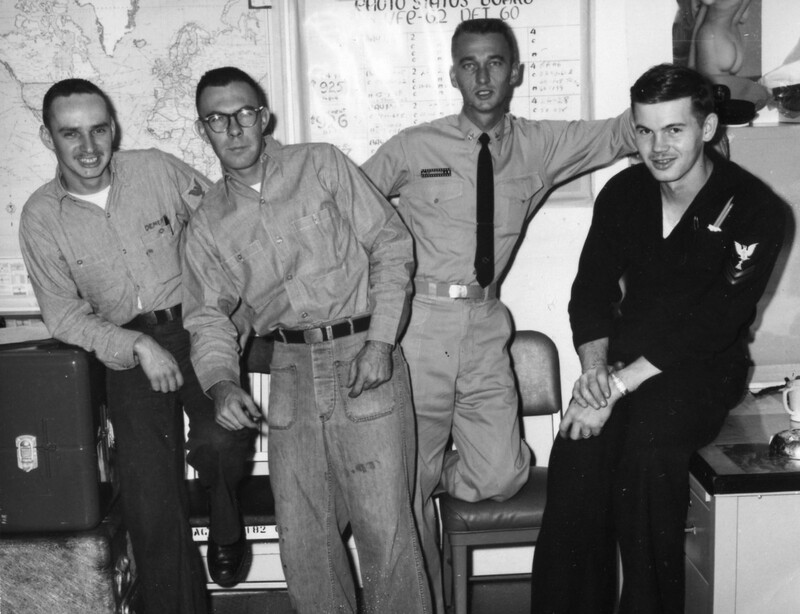 He and other members of the squadron tirelessly worked around the clock during that uncertain, uneasy time when the United States and Russia were preparing to go to war. The low altitude photos the squadron provided to the Pentagon and later the UN, helped force the Soviet Union to remove its missiles from Cuba. 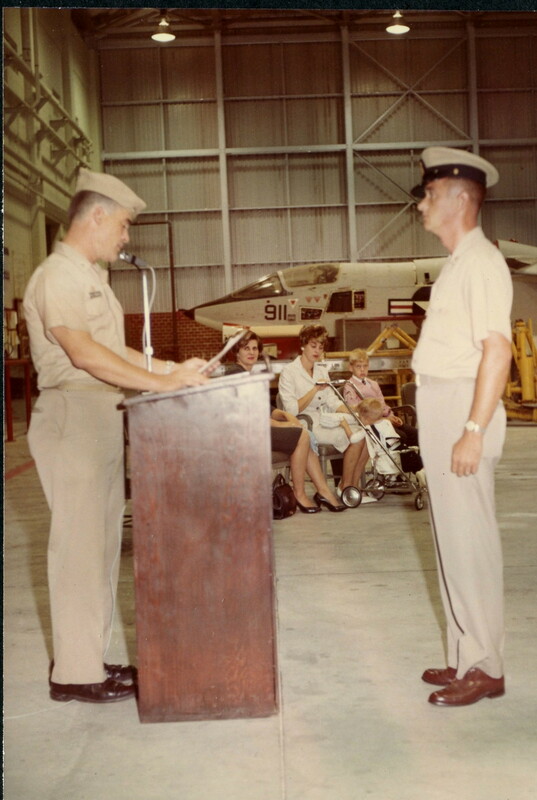 VFP-62 was awarded a Presidential Unit Citation, personally delivered by President John F. Kennedy. Art continued to work in the capacity of photo and line Chief with the squadron and in 1963, was sent as part of a detachment of VFP-62 to the USS Saratoga (CV-60) for a Mediterranean Sea deployment. He loved the ship and always recalled the voyage as one of his most enjoyable times in the navy. In 1965 the family grew again with addition of a second son, Shawn. Art had always wanted to build an airplane, and starting in 1966, began the realization of this life long dream with the building of the ribs for his Lincoln Sport biplane, a project he would later finish and fly in 1976. After 20 eventful years serving in the US Navy, Art retired from the service in July 1967 and accepted a position with a then small company, Sanders Associates, in Nashua, New Hampshire. He over saw the company?s classified ?A? Lab photo facility on Cannel Street working on various classified projects. 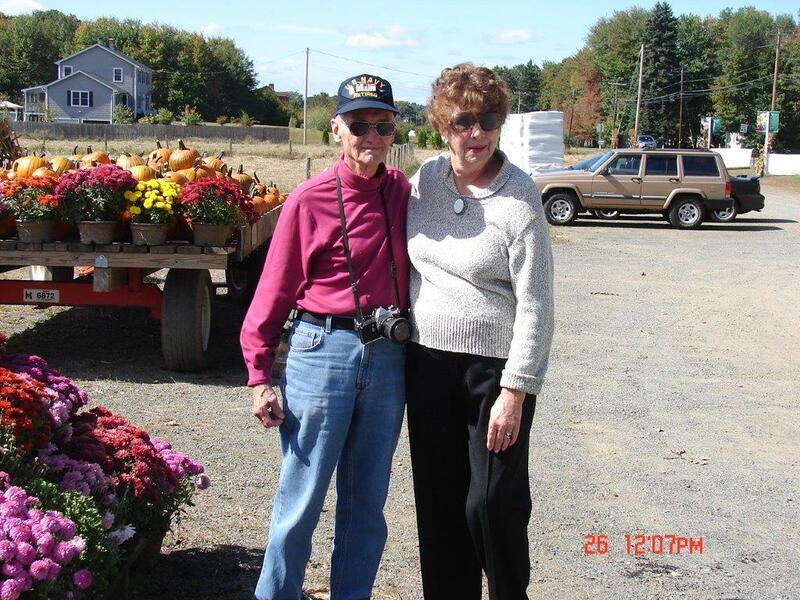 Art and Phyllis enjoyed working on their home in Merrimack and just about every weekend could be found involved in projects and improvements to the yard and house. Art continued his flying and could be found most Saturday mornings at the Nashua Airport. After finishing his Lincoln Sport project, he bought a 1947 Taylorcraft BC-12D, which he restored to new condition and won many awards at various aircraft shows with it. He continued working at Sanders, which was later bought out by Lockheed and later B.A.E. Systems until he retired for a second time in April 1990. He enjoyed his retirement years and with Phyllis, took trips and enjoyed their remaining years together. Art took up archery, which he had done in his younger years. He also took up other interests and hobbies and decided to build another airplane in 2001, a replica of a WWI British SE5A fighter. He would not be able to finish this project as Illness prevented him from completing it. The airplane is currently at The Old Rhinebeck Aerodrome Museum in Rhinebeck N.Y.
Art suffered declining health the last few years of his life and passed away peacefully in his sleep November 25, 2015 at age 86 after a long and full life. Along with his parents, Art was pre-deceased by a grandson, Arthur Chadwick Scarborough, two brothers Capt. William E. Scarborough USN Ret., and Ernest H. Scarborough Jr. Also two sisters, Winowa Poythress and Alfreda Weber. He is survived by his loving wife of 61 years, Phyllis (Applegate) and sons Scott Scarborough and Shawn, his wife Carmelli Scarborough and their daughter Nicole. Also a Godson Robert Weber Jr. and his wife Wendy as well as several nieces and nephews. Rest peacefully Dad. Love you, Scott...For all we ought to have thought, and have not thought; all we ought to have said, and have not said; all we ought to have done, and have not done?. 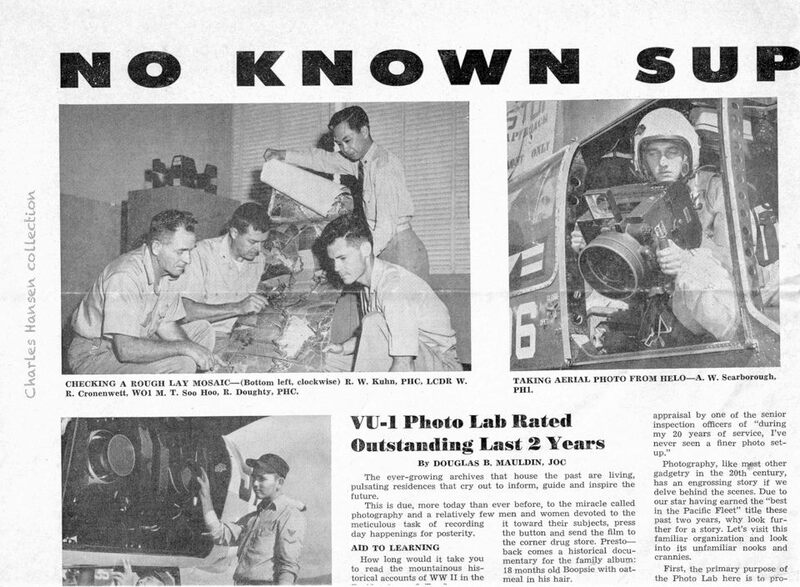 [From the Webmaster]: In 2006, one of our first major contributors to the new vfp62.com website was Art Scarborough's son Scott, who contributed many of our best photos of VFP-62's memories and history. At that time, I was operating from a small dial-up computer and had to restrict the photo file size, hence quality, of the photos. Nevertheless, Scott kept sending scanned photos from his father's collection and I had to create a special link from the side-menu: "Scarborough Photos." 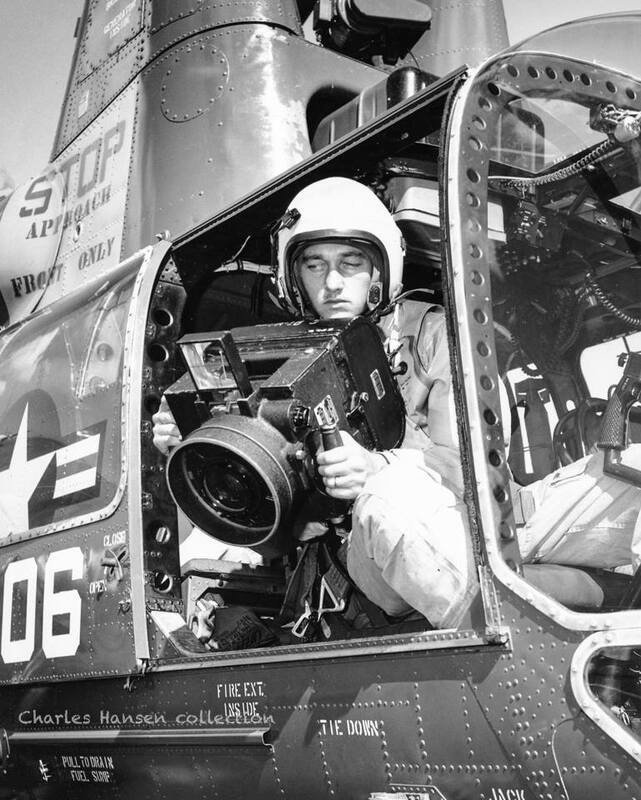 Throughout the site are dramatic photos of photo Crusaders that celebrate life in VFP-62 in the early 60s. One in particular, the photo of Crusaders in early morning light that heads the "In Memoriam" page that now contains Art's memorial. Thank you Art and Scott for your contributions to our site.